James Wallace, 26: Fresh Foods Advisor at Virginia Community Capital | 2015 Top 40 Under 40 | Style Weekly - Richmond, VA local news, arts, and events. James Wallace likes to get things started immediately. 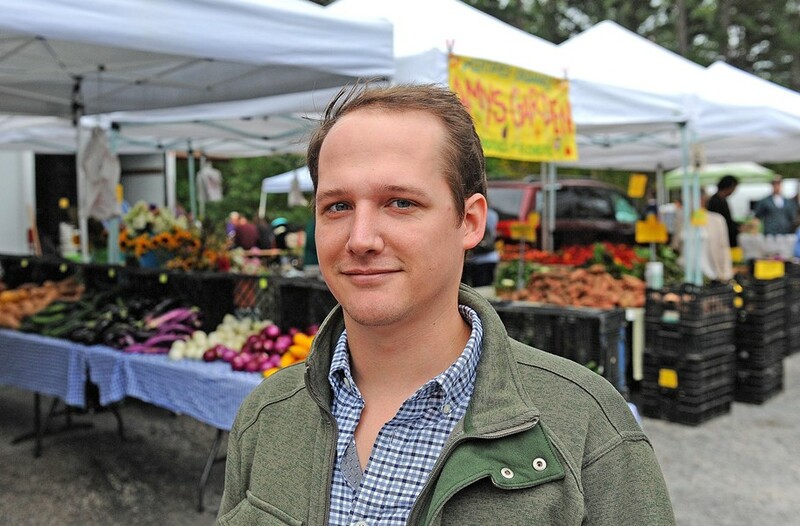 Fresh out of Virginia Tech in 2012, the Midlothian native began as an intern at the South of the James Market when the market’s manager quit on Wallace’s first day. He was immediately promoted. “I got thrown the gauntlet of running a 110-vendor, 5,000-person market every Saturday,” he says, “as well as six other farmers’ markets” owned by Grow RVA. While he was there, market owner Karen Grisevich established a nonprofit arm, Feed RVA. “It helped families who receive food stamps to redeem them at the farmers market,” Wallace says. Feed RVA held fundraisers to match each Supplemental Nutrition Assistance Program dollar spent. Recipients are given $1 tokens that work like cash to buy the fruits, vegetables, eggs and meat they need. Feed RVA also worked with other market managers to raise funds. But it’s still an uphill battle getting people to the market. Some feel intimidated, transportation issues are perennial and others aren’t sure how to cook the food they buy. To that end, for the past two summers Wallace has organized budget-conscious cooking demos to encourage people to come. But he does all that in his spare time now. These days, Wallace works for Virginia Community Capital, a nonprofit financial institution that focuses on community development through loans, saving accounts and advisory services. He ran an East End corner store that emphasized healthy food for VCC when he first began and now manages a $10 million loan fund for healthy-food businesses across Virginia. “We provide innovated, flexible, below-market capital to attract grocery stores to move into food desert neighborhoods,” he says. He’s also worked with the American Heart Association and the American Food Trust to advocate for additional state funding, and recently won a $1 million grant from the Treasury Department to increase the kind of flexible capital needed for vulnerable communities.